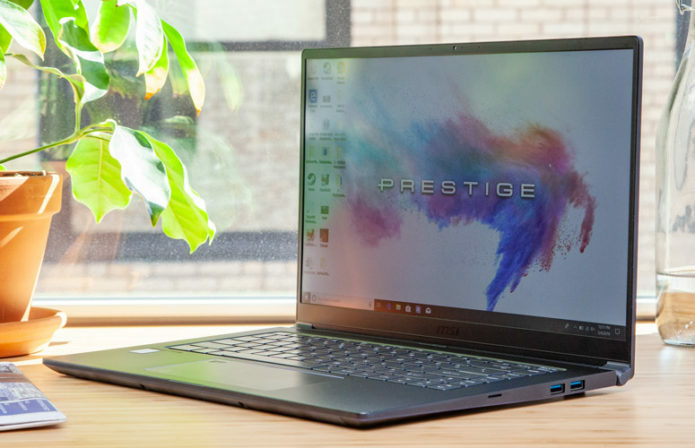 MSI launched the PS63 Modern with a mouthwatering marketing message: 16 x 16 x 16 — those numbers represent the size (16 millimeters), weight (1.6 kilograms) and battery life (16 hours) of the PS63 Modern. Unfortunately, the laptop doesn’t live up to the promised runtime and its display is dim. Still, the PS63 Modern is a very good laptop if you want a portable, elegant machine with a dedicated GPU.